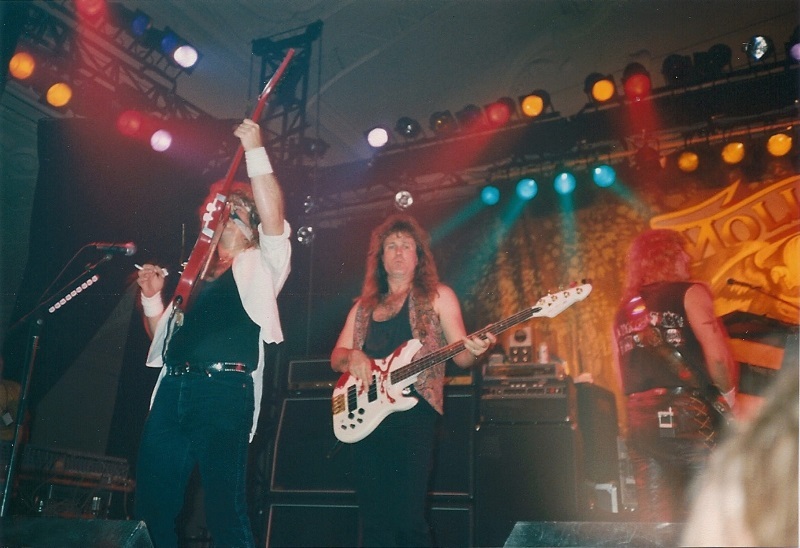 Riff West died during the night of the 19th November of 2014. This name won't probably remain anything to the average men but for us, Southern Rockers, it means a lot. Born in 1950 in Corpus Christi in Texas, Riff grew up in different states, his father, naval officer, having to move every two years. It doesn't prevent the « Wild West Family » (that he will thank in the special thanks of the Molly Hatchet albums) to be very close. Very young, he got a fascination of the Beatles, particularly of Paul McCartney. Then, his family settling in Florida, he practised the bass tirelessly (while working as lifeguard in estate) and carved out a reputation on the musical stage of Orlando. He played in many local bands (including White Witch). 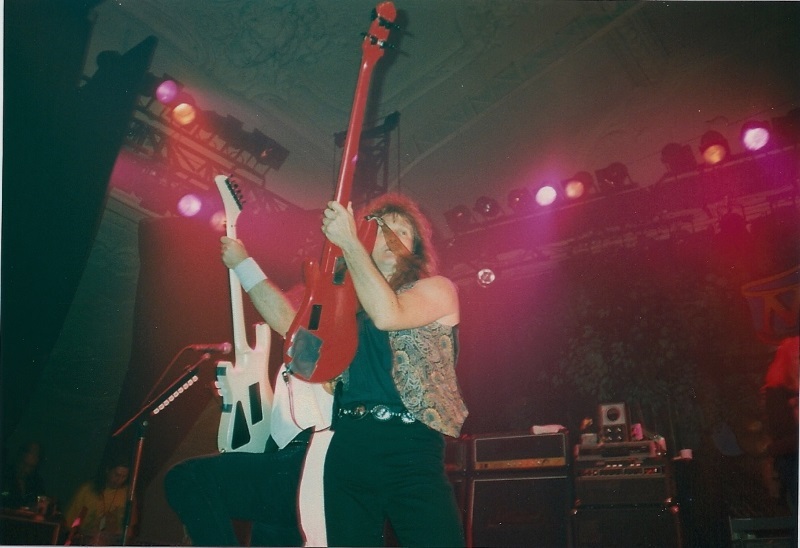 He joined Molly Hatchet in 1981, just after the achievement of the album « Take no prisoners» (incidentally he took part to the following tour), and he hammered his four string in this mythical southern band until 1990. He cared for his buddy Danny Joe Brown until the end of the adventure and the illness. He organised a benefit concert in his favour in order to raise funds for the costs of the hospital (« Jammin’ for D J B »). He supported him until the end, and that tells a lot about the principles and the moral value of the man. 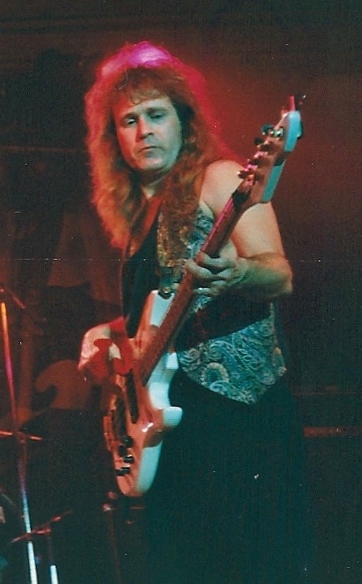 He played bass in the band Foghat from 1991 to 1993. 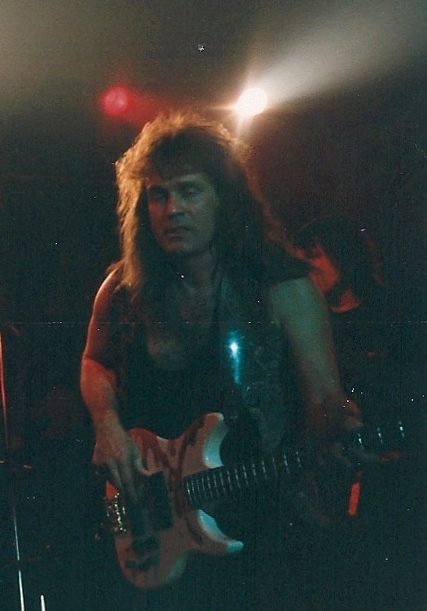 Animal-lover, he produced an album to raise funds for their favour (« Animal magnetism ») with the involvement of reknowned artists : Linda Rondstadt, Edgard Winter (Johnny's brother), Linda McCartney, Chrissie Hynde (The Pretenders), Jimi Jamison (singer of the band Target, who made some backing vocals on some Molly Hatchet albums), Steve Morse and Pat Travers. No less ! He naturelly joined the Gator Country Band when the former musicians of the old Molly (except Dave Hlubek) decided to join up again. As if he wasn't busy enough, he organised a yearly concert to support the animals (once, he even had as guest Ritchie Blackmore who played two tunes). On a personnal level, Riff doesn't seem to have ever made any excess. Vegetarian, taking care about his food, he never touched drugs or alcohol (according to his entourage's testimony). His close relations also said that his friends, humans and animals, could always count on him. Incidentaly, a guy who doesn't hesitate to stop the traffic in order to save a wounded dog, wandering on the highway, can only be a good person. As for his musical skills, you just have to listen to the bass line of « Fall of the Peacemakers » to get a good idea. 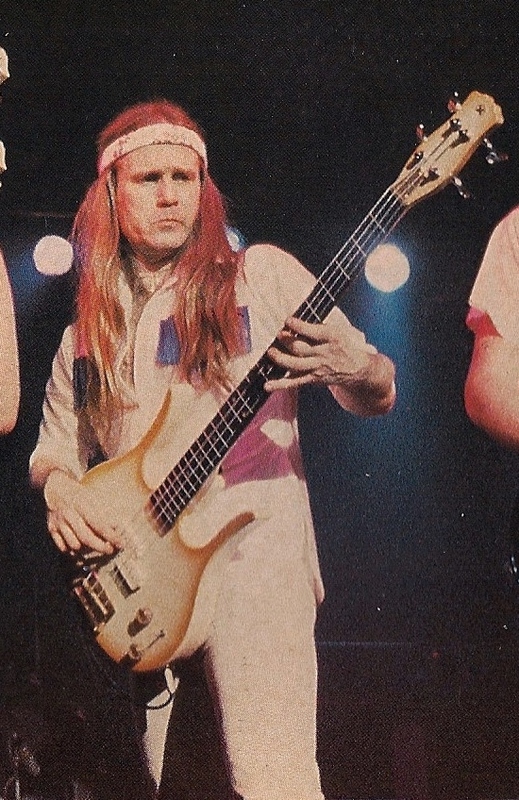 Playing with the fingers and without owning priceless instruments, Riff always dropped a solid bass sound, melodic and effective. A sound which reflects his own personality. Those who had the chance to see him at the Mutualité in 1983 and at the Elysée Montmartre in 1990 know what I'm talking about. A guy able to spin on stage while hammering the E and A strings with his right hand and greeting the audience with his left hand is for sure a great musician. In concert, Riff sent us back the image of a guy happy to play. He swung his body at the pace of the music and he smiled. He smiled to the audience, to the members of the band, to the roadies he tried to corner on stage. He smiled alone. He smiled ! I will never forget when, with a knowing wink, he pointed us, my buddies and me, at the Mutualité in 1983 (incidentally, he greeted us many times that evening). Strolling along the stage with his wily Apache face and his crafty smile, letting his obsessive bass blow you away, he gave us the feeling that he was a good fellow paying us a visit. Same thing, same attitude seven years later at the Elysée Montmartre, with his dishevelled hard rocker haircut from the early 90. Same punchy bass sound, same professionnalism, same joy to play. And still his complicity with the audience. A greeting there, a wink over there. All this playing like a madman. A real gentleman of the four-string ! About fifteen monthes ago, Riff was engaged in a serious car crash. The airbag did only half of the job. It absorbed the impact but explosed in the same time ; and Riff inhaled the poison stuff it contained. Since, Riff suffered from a lot of health problems, especially difficulties breathing. But, according to his close relations, his smile never left his lips. The 19th of November in the evening, he felt asleep. He didn't wake up. He was 64. Now he's gone, what else can we tell ? 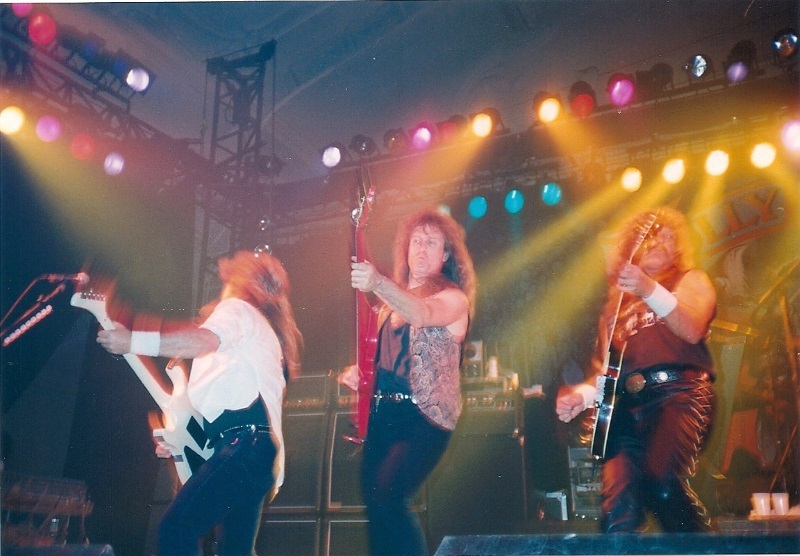 As I learned his passing, I immediatly got out again the pics I took at the Elysée Montmartre, then I watched the Rock n’ Roll Tonite Show from 1983 dedicated to Molly Hatchet. No doubt about it, what an artist ! That's stupid but, without having known him personally, I have the feeling that I lost an old buddie. He never knew the glittering glory of the superstars but he spent his life to satisfy his passion : the music. A lot of people can't tell as much. So, so long Mister Bassman! Greetings from me to Danny Joe !